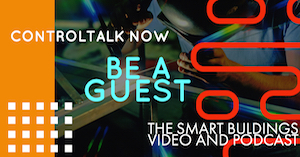 ControlTalk NOW — Smart Buildings VideoCast|PodCast for week ending Dec 18, 2016 begins with special thanks to two of our Platinum Sponsors: Optergy and Panel Shoppe. We have amazing interviews with Blue Ridge Technology’s President Bill Dunkelberger, Distech’s Vice President, Sales & Energy Services, Dan Flaherty, and ControlTrends People Episode 6 with EasyIO’s Lim Hoon Chiat. Updated coverage of 2017 AHR EXPO; 2017 Lynxspring Exchange Conference date set; Johnson Controls Showcase at the 2017 AHR EXPO; Acuity Brands Lighting Technology Center; KMC, Lynxspring, and Belimo Impact Videos; and DOE’s Solar in Your Community Challenge. Don’t Miss AHR EXPO 2017 — New Technology & Industry Best-Practices Highlight the Largest AHR Educational Program Ever. AHR 2017’s New Technology & Industry Best-Practices Highlight the Largest AHR Educational Program Ever! With over 75 seminars, technical sessions and certifications offered at the Convention Center, there’s something new to learn at the Show. 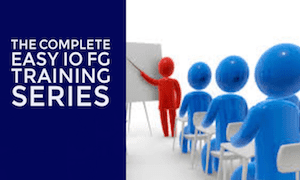 Many are free with no advance registration necessary. Use the Online Interactive Floor Plan to Map Out Your Time More Effectively! Lynxspring Announces Dates for 2017 Lynxspring Exchange Conference — October 1–3, 2017 at the Hyatt Regency Scottsdale Resort & Spa. 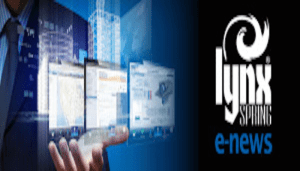 LEE’S SUMMIT, MISSOURI (PRWEB) DECEMBER 07, 2016 Lynxspring, Inc. (http://www.lynxspring.com), a premier developer and provider of open, IP-control solutions for building automation, energy management, cyber protection, and device-to-enterprise integration today announced they will hold their second biennial Lynxspring Exchange Conference on October 1 – 3, 2017 at the Hyatt Regency Scottsdale Resort & Spa at Gainey Ranch in Scottsdale, Arizona. Johnson Controls Leads the HVAC Industry with Innovation and New Technology at the 2017 AHR Expo. 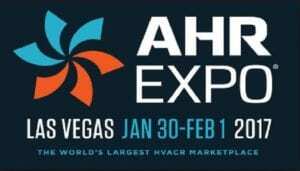 Johnson Controls will showcase several innovative new technologies at the 2017 AHR Expo, January 30 to February 1 in Las Vegas (booth numbers C2929, C3124 and C3329). The technologies include Verasys™, YORK® YVFA chiller, YORK EcoAdvance, BlueStream™ Hybrid Cooling System and VRF Smart Gateway. These technologies are designed to advance energy efficiency and increase building intelligence. Touring Acuity Brands Lighting Center. Dan Flaherty, Distech’s Vice President, Sales & Energy Services, takes the ControlTrends Community on a tour of Acuity Brands’ Disney-like technology center, a new mecca for young engineering talent. Join in as Dan shows us some of the really cool ways lighting technology has significantly enhanced the user experience within the Hospital, K-12, and Retail spaces. With the acquisition of Distech and DGLogik, Acuity has re-engineered the way lighting and sensors are deployed and how lighting sensor data and the Distech Eclypse Building Automation Systems are driving the next-gen smarter buildings. Gone are the days of the 72 degree thermostat… for sure. Our next ControlTrends Interview is with Bill Dunkleberger, President of Blue Ridge Technologies, a manufacture of proven energy management solutions with a focus on Unified Lighting Control. Blue Ridge Technologies (BTR) solutions complete the Building Automation System. 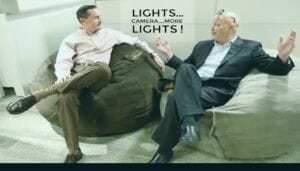 Bill Dunkelberger is an industry expert on occupant-centric building and lighting control. 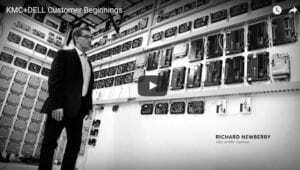 Join in as Bill explains the origins of lighting integration issues and how Open Systems, Open Devices, Open Standards, and Open Distribution are the future. We also get to meet Christy O’Neil, BRT’s Support Manager and finalist for the 2016 ControlTrends Support Person of the Year. 2016 ControlTrends Most Impactful Video of the Year — Take One: KMC+DELL Customer Beginnings. Award winning KMC Controls is proud to be a partner with Dell as the building automation industry leaps into the 21st century. The introduction of IoT to building automation systems is changing the way that occupants interact with their environment, their level of comfort, and the efficiency of buildings. Go ahead, we don’t mind if you call us building geniuses. ControlTrends People Episode 6: EasyIO’s Lim Hoon Chiat. In this episode of ControlTrends People, we explore the life of Lim Hoon Chiat. 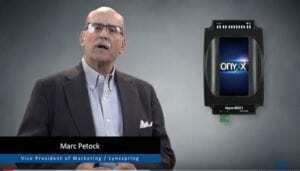 Lim is now recognized as one of the most successful and prolific minds in our industry. In Episode 6, we follow Lim’s rise from the humblest of origins in Singapore, where as a child, he tinkered with discarded parts to make a television set work for three months, through his days at the University and winning an International Robotic Competition, to his present position at EasyIO. Lim shares the influence and effect that his earliest mentor had on his life and how the philosophic fundamentals of simplicity, constantly challenging one’s self, and the desire to maintain a worldly perspective developed into a life-long passion for innovation. 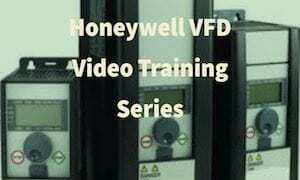 2016 ControlTrends Most Impactful Video of the Year — Take Two: Introduction to the Lynxspring Onyxx BH311 BACnet to Haystack Data Pump. Overview: The Onyxx™ BH311 Data Pump provides BACnet to Haystack network communication and data exchange. The Onyxx BH311 Data Pump is part of Lynxspring E2E, an edge-to-enterprise ecosystem for the Internet of Things, that enables collaboration between smart systems, smart devices, intelligent equipment and Cloud services. The Helixx™ Framework embedded in the Onyxx BH311 handles the BACnet to Haystack protocol translation, translating BACnet points to manageable Haystack points. 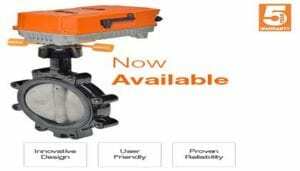 Belimo’s New Advanced Butterfly Valve Technology for High Flow Applications. The newly designed butterfly valve and actuator assembly is the most intelligent, energy efficient, and reliable high flow solution in the HVAC market. With a focus on the ease of installation, application flexibility and longevity, this series sets new performance standards in HVAC applications. Innovative – User Friendly – Reliable, Belimo’s New Advanced Butterfly Valve Technology for High Flow Applications is the Most Intelligent Butterfly Valve on the Market! 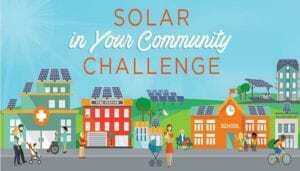 DOE: Solar in Your Community Challenge — Application Deadline is January 6, 2017. Dear SunShot Supporter: Have you heard about the Solar in Your Community Challenge yet? It’s a $5 million prize competition funded by the SunShot Initiative that aims to expand solar electricity access. Specifically, it focuses on low-and moderate-income (LMI) households and nonprofits that haven’t been able to take advantage of the booming solar market. Challenge participants are eligible to win cash prizes and technical assistance over the course of 18 months.